The benefits of turmeric are numerous, as it’s widely considered one of the most powerful medicinal herbs on earth. It’s also one of the most studied herbs on the planet, as in 12,500 peer-reviewed articles, studies, and clinical trials. Turmeric has a long history of use, especially in Ayurvedic medicine. It has been used in India for centuries for a vast array of conditions and illnesses, including as an antiseptic for burns and cuts and as a remedy for digestive distress and respiratory issues. But it’s the ability to significantly reduce inflammation that makes turmeric a superstar among herbs. Turmeric, or Curcuma longa, is a perennial herb in the Zingiberaceae (or ginger) family. Curcuma is native to South India and grows well in hot and humid climates. It is the rhizomes, or root system, of the plant that is most often used. Turmeric reaches a height of around three feet. Its roots are yellowish-orange in color and have been used in Asia for thousands of years as both food and medicine. Turmeric is often used in curries in Asian cuisine. And it’s added to mustard, which is what contributes to its yellow color. Where turmeric is grown locally, the roots are often used fresh like ginger root. The leaves are also sometimes used to wrap and cook food in. Besides Asia, turmeric is popular in the Middle East, and South Africa, where it is often added to white rice giving it a nice golden color. The main active ingredient in turmeric and that which is responsible for its bright yellow color is called curcumin. Curcumin, along with several other active compounds, is responsible for turmeric’s anti-inflammatory, antioxidant, antitumor, antibacterial, and antiviral properties. When you talk about the holistic healing effects of turmeric, and specifically curcumin, you have to begin with its potent anti-inflammatory properties. Chronic inflammation is an immune response from the body when there is no threat or injury present. It’s a condition that has been linked to numerous diseases, including cancer, heart disease, and the 80 or so autoimmune diseases that exist. The problem with chronic inflammation is that it can exist in the body undetected for years. Then not-so-suddenly, you find yourself in a state of serious disease. Think of chronic inflammation as a foundation on which numerous diseases and conditions can build upon. 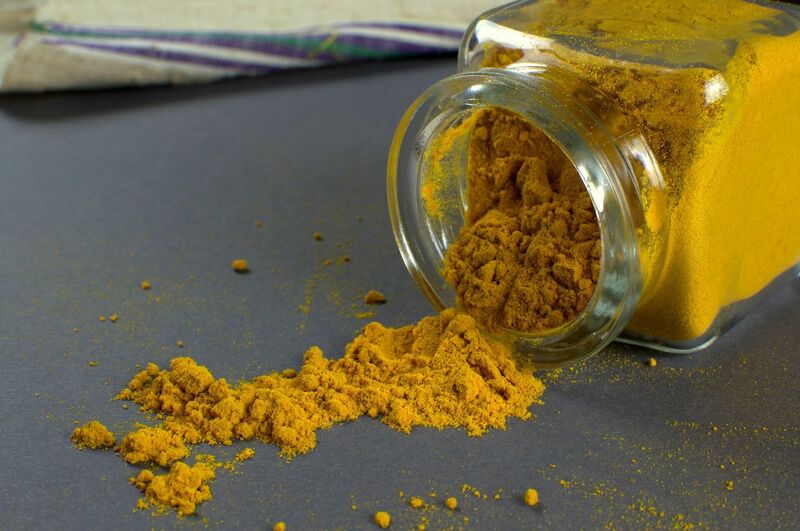 This 2004 study examined numerous anti-inflammatory compounds and found curcumin to be one of the strongest, most effective anti-inflammatory compounds on the planet. Numerous studies on mice have found that curcumin is able to reverse mild cases of Alzheimer’s disease, as this neurological disorder is directly related to chronic inflammation. If you’re thinking that an anti-inflammatory medication is the best course of action, just remember that a powerful herb like turmeric solves issues at the root level ― functional medicine ― while medications simply mask the symptoms. Since cancer is one of the most studied diseases on the planet, let’s take a look at how one of the most studied medicinal herbs on the planet interacts with cancer cells. According to the holistic health practitioner, Dr. Joseph Mercola, curcumin appears to be universally useful for all cancers. Dr. Mercola goes on to explain how unique this is, as different types of cancer have different types of pathologies, which is why you usually see different types of natural treatments work more effectively for certain types of cancers. Best of all, unlike modern, allopathic treatments for cancer ― chemotherapy and radiation ― healthy cells are not adversely affected, which better enables your body to fight the disease. Again, another benefit of functional medicine ― allowing the body to heal itself. Curcumin is also available in a pharmaceutical form and could be administered intravenously. What are the Best Ways to Consume Turmeric? You probably wouldn’t think you could find so many ways to incorporate turmeric into your diet. But actually, it’s quite easy. You can add turmeric to rice dishes, potatoes, sautéed vegetables, stews, meats and fish dishes and if making homemade chicken soup, it gives the broth a wonderful and natural yellow color. One issue with turmeric, and in particular curcumin, is that it’s poorly absorbed by the body. However, you can increase the rate of absorption by combining it with fresh ginger and freshly ground pepper. Dr. Mercola recommends making a microemulsion to make it more bioavailable — Mix 1 tablespoon of raw turmeric powder with two egg yolks and 2 teaspoons of melted coconut oil. We presume that you simply eat that concoction when you’re done mixing it. As always, start out small, and see how your body reacts. Try adding turmeric to meals in smaller amounts until you feel comfortable adding more. Remember that turmeric is first and foremost an herb, besides being a type of functional medicine, which means you can increase the dosage as needed. If you’re feeling sick, fatigued, or are experiencing muscle or joint pain, get more turmeric into your diet and see how you respond. The holistic healing effects of this special herb may really surprise you. If you’re looking to optimize your health and wellness, sign up below, and I’ll send you a FREE copy of my ebook ― How to have Better Health: Functional Medicine 101. It’s full of valuable tips to becoming your healthiest and happiest self.